Beijing is seeking to encourage a “new type” of urbanization. As part of China’s larger-reaching economic reforms, the government hopes to achieve a 60 percent urbanization rate by 2020. On Tuesday, President Xi Jinping expounded on the right way – and the wrong way – to go about achieving this goal during a meeting of an economic work group. It sounds odd to suggest that China has a problem attracting people to make the move from rural areas to the cities. That process has been underway for decades now; according to data from the World Bank, China has gone from a 30 percent urbanization rate in 1994 to 53 percent in 2014. That means nearly a quarter of China’s population – roughly 300 million people – made the move from countryside to city in the past 20 years. So what China wants is not urbanization per se (that process is already underway), but a different kind of urbanization – “new-type urbanization,” according to a planning document released by China’s State Council in March 2014. That plan involves, in part, legitimizing the migrants that have already made their homes in China’s cities. 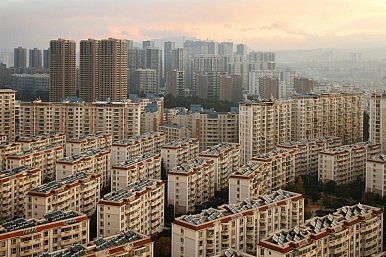 The State Council plan is supposed to help 100 million permanent urban residents obtain an urban hukou. Last December, the State Council’s Legal Affairs Office released a draft law regarding hukou reform that will allow migrants to obtain access to social services – up to a point. Migrants must meet certain criteria to be eligible, including employment, housing, and length of stay. And these criteria will be strictest in the cities that are most attractive to migrants: mega-cities like Beijing, Shanghai, and Guangzhou. On Friday a suburb of Beijing became part of a pilot system to test the new hukou distribution system, joining similar test efforts underway in Shanghai, Guangzhou, and Tianjin. China’s small cities actually do have the attraction problem that Xi mentioned in his remarks. For some Chinese officials, the solution has been to simply relocate entire villages into ready-built cities, something the central government frowns upon. “’New-type urbanization’ focuses on making migrants into genuine urban citizens, not just building more, bigger cities and forcing people to live there,” Xinhua emphasized in a recent piece. But if China is not going to forcibly relocated rural residents to small cities, how is it going to make this specific type of urban area more attractive? Subsidized housing? More attractive social services? Subsidies for businesses to set up shop, providing an employment draw? That is exactly the puzzle Beijing will have to solve if urbanization with Chinese characteristics is to succeed. China's Plan for 'Orderly' Hukou ReformChina’s ‘New Normal’ Economy and Social StabilityA Tale of Two ChinasXi's Scary Interpretation of the Last 40 Years of Chinese HistoryCan China Fix Its Housing Bubble?